Design: provides unique shape for versatility. Washable: easy to care for. I got some of these as a gift and as soon as we used them I had to get more! They are the perfect burp cloth. They are big so they easily cover your shoulder. They are super soft but are still durable and absorb a ton. When my daughter started teething I used them as a bib so she wouldn�€™t get slobber all over her clothes. These are the only burp cloths I will buy! I love the multi function effects- it works for newborns as a burp cloth and an infant as a bib. Out of all the bib or burp cloths that I received as gifts, these are my absolute favorite. They are thick, durable, soft and wipe WELL. They are not cheap or flimsy like other common brands. These are well worth the price. I know they have measurements but they are still way bigger than I thought. They're huge! Not like regular size burp cloths. And they're so soft! Love them! Will be buying a few more. Too big for a small infant to wear as a bibb, but great as a burp cloth until he fits into them! Thick, absorbant, soft, great coverage. 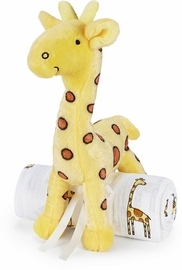 ProsSoft, absorbant, easily washable, stylish! 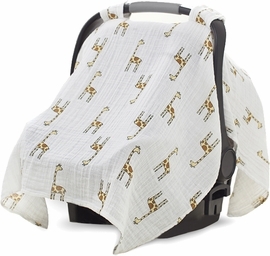 Best UsesAs an infant burp cloth. 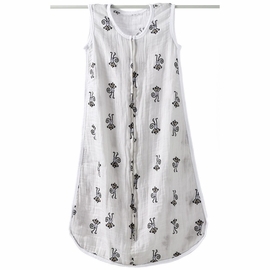 The fabric is soft to the touch and has nice prints. It can be us as a bib or a burp cloth, and it is breathable, which I love, Highly recommended. ConsFor this price, it is made in China, it is too expensive and such a disappointment. 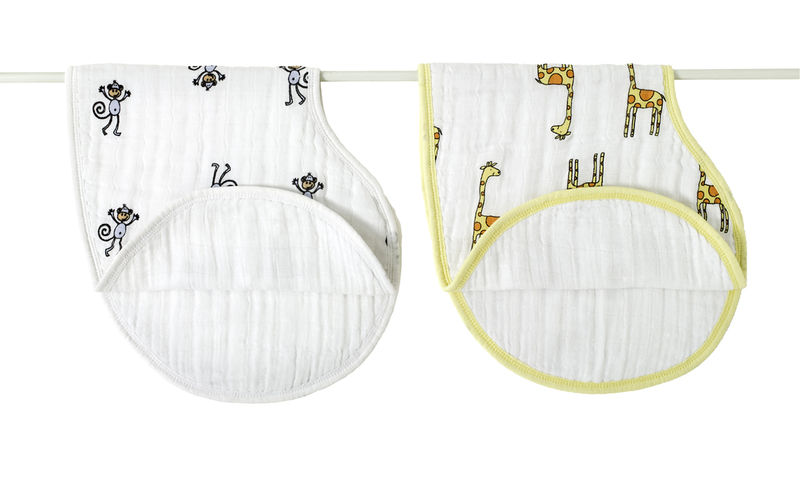 We can't wait to use these bibs with our little one. I wish now that I had only bought them sooner for my first two children. The colors/prints are vibrant and cute, the shipping was prompt and they washed and dried very well -- they held both their shape and color. You can't go wrong with Aden + Anais products! Best UsesSnack time for spills and as a great burp cloth when needed! They'll make a great addition to our diaper bag! Very soft and cute but larger than expected. These bibs are the best thing ever invented! I bought several types of bibs for our newborn daughter and these are the only bibs we use. I ended up ordering them in every color they make. The size of the bib is perfect and offers full coverage for spit up and drooling of formula when feeding. The other great thing is being able to go from feeding and using as a bib to using as a burp cloth. 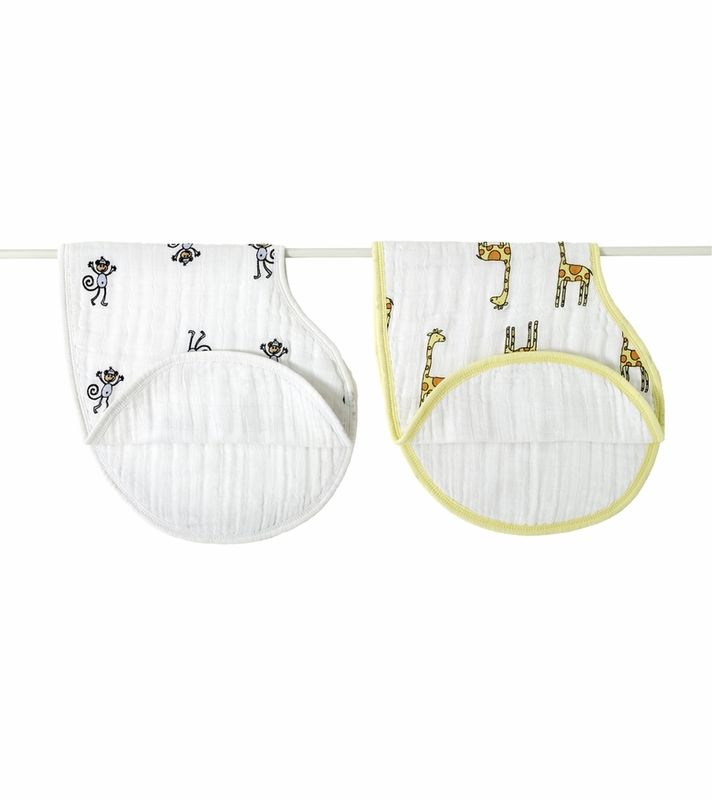 The bibs are the most absorbent that we've found, wash well, and stains come right out without pretreating. Seriously couldn't be any happier with these! 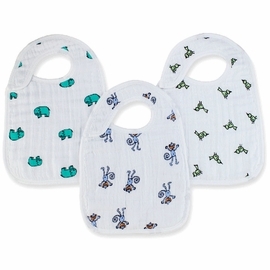 I have not used these yet as our baby won't be here until January, but I really like the Burpy Bibs so far. I tried spilling a little water on one and it was very absorbent. 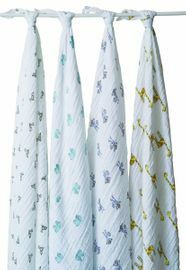 The colors and patterns are great and the overall size seems to be the most generous after looking at many burp cloths. I like the contoured shape as it seems to sit on my shoulder without sliding. I'm also really impressed with the fact that you can turn these into bibs. One less item to worry about throwing in the diaper bag! Ready-to-feed formula have darker color and will stain the bib. If you don't hand wash it soon it'll stay. While these aren't as soft as the bamboo versions, they are thick and nice. They are the exact same size and washed up really well. It's a great price to get two! 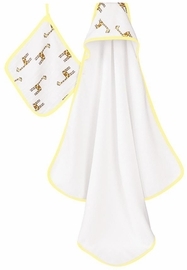 This is a great multi-purpose burp cloth and bib. I absolutely love how absorbent they are and they cover lots of ground. Best burp cloths I own. I could not recommend these more! These are the best burp cloths. They are so big and absorbant, plus so cute and soft. Love these! This is my second time to buy this, because my baby boy spill up a lot! a! The material is very soft, and it still the same after I wash it many times! I will continue to buy! I was pleasantly surprised by the size of these. Another great quality product by Aden + Anais. I would, and will buy again. 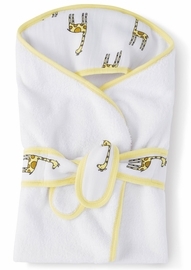 Love the cute prints that match our A+A Prince Charming blankets and bibs. I love this product. It is soft and good quality. It can be used at least in two ways. Great burp cloth that is a generous size and covers your entire shoulder. Such a cute a gender neutral design as well. 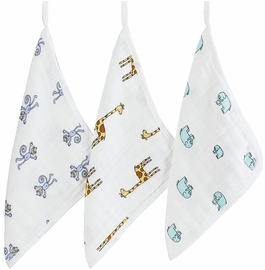 These are great burp cloths and are very absorbent to spit-up. They cover a large portion of your shoulder and I love that they can be snapped about the baby's neck for a quick bib if you need it. Great material and love the patterns. I received a package of these when my son was born. I loved them so much the two I had was not enough so I ordered more. My son is a big time drooler, these bibs are perfect. If one spot gets soaked I can just move it over and there is plenty more fabric to soak up more. They're also the perfect shape to fit over your shoulder. They are cute and easy to take care of. I would recommend them to any new parent. 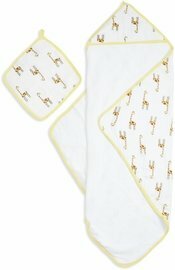 Best burp cloths I own -they contour nicely to my shoulder, prints are super cute, they wash well, and I like that I can use them as a "bib" while I nurse my daughter.